and they are most often found living in rivers. The point is simple, Michigan rivers are an amazingly rich fishing resource and just about everyone can tap into the fishing fun with a modest investment in equipment. The vast majority of my river fishing is conducted from a modest 16 foot fishing boat equipped with a small outboard motor, electric motor, sonar unit and some rod holders. From this fishing platform there is little a river based angler can’t accomplish. 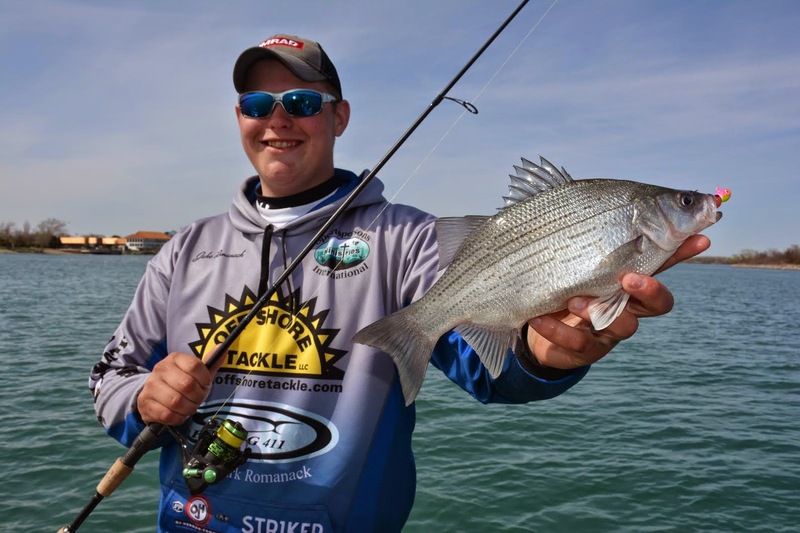 Just two basic rod and reel combinations will handle the majority of the river fishing situations an angler is likely to face. A medium/light action graphite spinning rod is a work horse for a multitude of jig and rig fishing chores. To this rod I match up a 25 series spinning reel loaded to capacity with 10# test superbraid line. A second outfit is handy for fishing heavy rigs and a wealth of river trolling chores. A 7’ medium action baitcasting rod and matching reel is the near perfect choice for river action. I personally favor round style baitcasters because they have larger line capacity than the low profile models designed for bass fishing. In the interest of keeping things simple, I recommend loading this baitcasting reel with 20# superbraid fishing line. Equipped with just these two rod/reel options I can jig, rig, troll, drift and cast nearly any lure or live bait rig imaginable. The real key to catching fish in any river is understanding how fish relate to flowing water. All rivers have similar characteristics. Water moving downstream is moving faster at the surface than near the bottom. The reason is friction created as the water passes over bottom substrate slows down the flow slightly near the bottom. This is precisely why most river fish spend the majority of their time on or very near the bottom. The reduced current flow allows fish to lay in wait for the current to wash food within easy reach. Trolling in rivers is a productive way to catch a wealth of species. In addition to setting up housekeeping on the bottom, most river fish seek out other more pronounced current breaks. Anything the current has to flow around potentially produces a current break that in turn makes for a good site from which game fish can ambush prey species. Rock or submerged wood on the bottom, bridge pilings, sea walls, rip rap banks, wing dams and docks are a few of the commonly occurring current breaks river fisherman can key on and routinely find fish using. Other less obvious current breaks include depressions in the bottom, big flats and long deep holes. These places experience a natural slowing of the current as the water is spread out over a wider area. River bends are also fish magnets but for a different reason. In a river bend current is forced to speed up and deep holes are often scoured into the river bottom. These holes make for ideal holding water for a wealth of river species. Some current breaks like bridge pilings can be easily spotted and sight fished. Others like depressions in the bottom require sonar to locate and stay on. One of the biggest mistakes I see river anglers making is they try to finesse the bite. Using light rods, light lines and light lures has a place in the trout or salmon stream, but river fishing for warm water species like bass, walleye, pike or cats isn’t about finesse. Catching these fish is most often about making contact with bottom and staying there. My simple rule of thumb is to use whatever lure or weight is needed to easily make contact with bottom. If I’m struggling to make contact with bottom, chances are I’m struggling to catch fish. Let’s use lead head jigs as an example. If after fishing for 30 or 40 minutes your nicely painted jigs don’t have the paint chipped off the bottom, chances are you’re not making firm enough contact with the bottom! It really doesn’t matter if a jig or rig weight is used to make contact with bottom. The important point is to use enough weight to make that contact obvious and easy to maintain. There are literally hundreds of ways to attack rivers and target the fish that live in them. Most of the time I find myself falling back on two tried and true set ups that routinely produce lots of rod pounding action. A simple tight line jig set up will catch just about anything that swims. My personal choice is to use spinning gear for jig fishing. I tie the 10# spectra braid main line to a 24 inch leader of 10# test fluorocarbon line using a Double Uni Knot. At the terminal end I tie the jig directly to the fluorocarbon line. My all time favorite jighead design is the Odd Ball produced by Bait Rigs Tackle. This long shank jig features a rounded stand-up style head that allows me to vertical jig, cast or drag the jig on bottom without having to switch jighead types. A extra large eye tie makes it possible to retie jigs without first having to break paint from the hook eye or search for a pair of reading glasses! The Odd Ball can be readily fished with live bait, soft plastics or a combination of both. This unique jig design can also be Texas rigged with grub bodies making it snagless and easier to fish among bottom debris. This simple set up keeps the bait in contact with bottom and the angler in direct contact with anything that touches the bait. White bass are just one of the species routinely found in rivers. A common three way rig is the second outfit I find very useful in river fishing. This rig is best fished on the baitcasting gear outlined earlier in this article. The 20# test spectra braid is tied directly to one of the three way swivels. A 10-15 pound test leader of fluorocarbon line is added to the second swivel. This leader should be about 60 inches long and be terminated with a simple round snap. On the third swivel, a 12 inch dropper of 10# test monofilament is tied directly to a pencil style bottom sinker completing the rig. The three way rig can be used to fish all kinds of live bait or artificial lures, but I favor a shallow diving crankbait about three to four inches long. I view this rig as a tool ideal for hunting up active fish. A crankbait can be fished faster than live bait presentations, allowing me to cover more water while searching out fish. Once fish are located, I most often switch gears to a different presentation like jigging that’s more precise and better suited to catching fish on specific spots. River fishing is kind of like the famous “box of chocolates” made famous in the Forest Gump movie. You really never know what’s going to bite when you target Michigan’s many warm water river systems. Some species are highly prized like walleye or smallmouth and others like sheepshead or catfish not so much. To me it doesn’t matter what bites so long as I’m catching fish and sharing the experience with others. In short, I like all the chocolates in the box. Saginaw River, from downtown Saginaw to Downtown Bay City. Great for walleye, smallmouth, channel catfish and largemouth bass. Grand River, downstream from the 6th Street Bridge to the wastewater treatment plant. 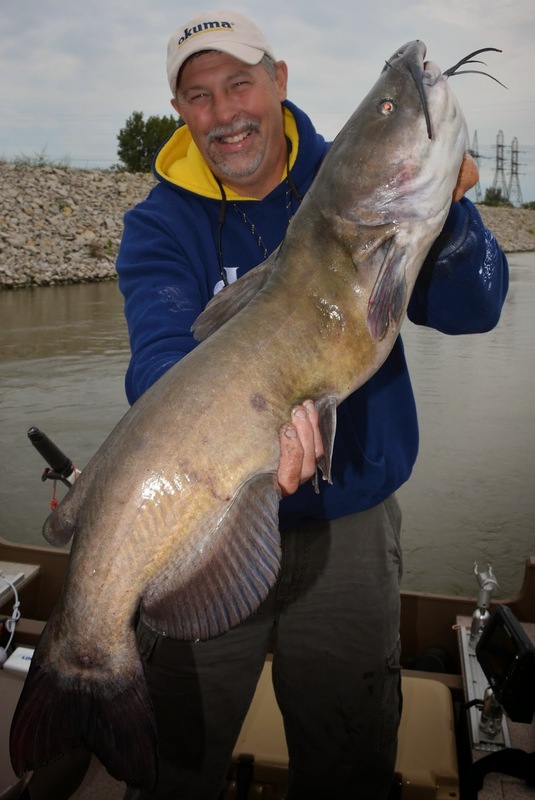 Good fishing for walleye, channel catfish, smallmouth and steelhead in the spring. Kalamazoo River, downstream from US 196 bridge. 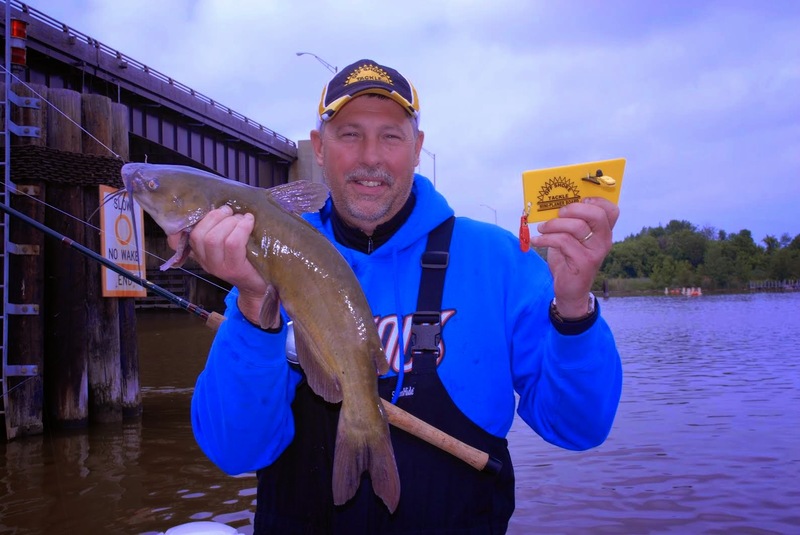 Excellent smallmouth, good walleye and outstanding action on cats and drum. Detroit River, Fighting Island area is outstanding for walleye, smallmouth, whitebass and the occasional musky.